A new kind of Cold War begins in the sci-fi action thriller Ice Soldiers, unleashing on Feb. 25 on Blu-ray and DVD from Sony Pictures Home Entertainment. Dominic Purcell (TV’s “Prison Break,” Blade Trinity), Adam Beach (Cowboys & Aliens, Flags of Our Fathers) and Michael Ironside (X-Men: First Class, Terminator Salvation) lead a hard-hitting cast in this gritty, militaristic adventure about a scientific expedition that unearths three genetically engineered Russian super soldiers frozen in ice since the height of the Cold War. Now, the team must stop the killing machines at all costs or risk the total destruction of the Western world. 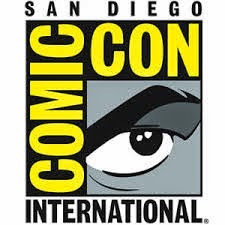 Culver City, CA (12/16/13) – A new kind of Cold War begins in the sci-fi action thriller ICE SOLDIERS, unleashing on Feb. 25 on Blu-ray™ and DVD from Sony Pictures Home Entertainment. Dominic Purcell (TV’s “Prison Break,” Blade Trinity), Adam Beach (Cowboys & Aliens, Flags of Our Fathers) and Michael Ironside (X-Men: First Class, Terminator Salvation) lead a hard-hitting cast in this gritty, militaristic adventure about a scientific expedition that unearths three genetically engineered Russian super soldiers frozen in ice since the height of the Cold War. Now, the team must stop the killing machines at all costs or risk the total destruction of the Western world. Directed by Icelandic filmmaker Sturla Gunnarsson (Beowulf & Grendel) and co-starring Gabriel Hogan (TV’s “Heartland”), Benz Antoine (Death Race) and Camille Sullivan (TV’s “Red Widow”), ICE SOLDIERS delivers edge-of-your-seat excitement and pulse-pounding suspense for every action fan. 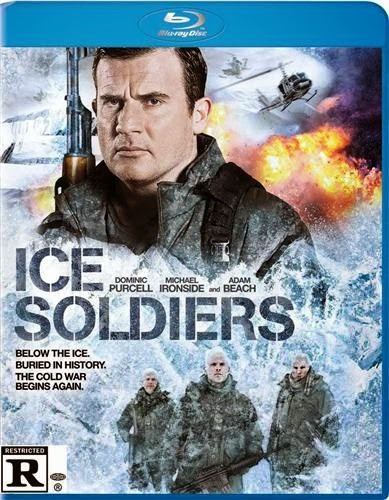 ICE SOLDIERS was written by Jonathan Tydor (Dark Angel, The King’s Guard) and produced by Jeff Sackman (A Dark Truth, Breakout). Synopsis: Buried beneath the Arctic ice since the Cold War, genetically modified Soviet soldiers have been rediscovered, reactivated and are ready to unleash devastating destruction. They are cold-blooded killing machines with super-human strength and one man, a scientist who has been searching for them his entire life, will try to stop the carnage before they complete their terrifying, top-secret mission. Dominic Purcell (TV’s “Prison Break”), Michael Ironside (X-Men: First Class) and Adam Beach (Cowboys & Aliens) star in this pulse-pounding, action-packed thriller.